As a leading UK leasing and fleet management company we offer all models in the Nissan range. To get more information about Nissan contract hire or any other marque please request a Nissan quote or, alternatively, call us using the phone number below. Nissan is a major Japanese motor manufacturer owned by the Nissan Group – one of the largest organisations in Japan – and part of the Renault-Nissan Alliance. Nissan sells nearly four million vehicles worldwide and is one of the most successful Japanese manufacturers to break into the European market. The manufacturer arguably invented the crossover concept with the launch of the Qashqai in 2007 and since then has been a leader in creating spacious, practical cars offering the size and handling of a much smaller car. All of Nissan's cars are produced around the philosophy of high build quality and tough materials. At the lower end of the range, the Micra is a distinctive and efficient supermini that is sufficiently comfortable on UK roads. The Pulsar provides a comfortable family hatchback solution with clever technology whilst the Juke crossover introduces a more spacious and stylish option to small car buyers wanting a more elevated and unique driving position. Nissan's range of crossover models continues with the five-door Qashqai hatchback and culminates in the X-Trail, a rugged SUV available in five and seven-seat configurations. A crossover of a different kind comes in the form of the Navara, a conventional pick-up truck that also provides capable on-road manners and the ability to swallow a family and their luggage comfortably. Nissan doesn't exclude those wanting excitement from their transport either, offering the 370Z, continuing the ‘Z-Car’ heritage in 2-door coupe form and the simply rapid GT-R, providing mind-blowing performance. 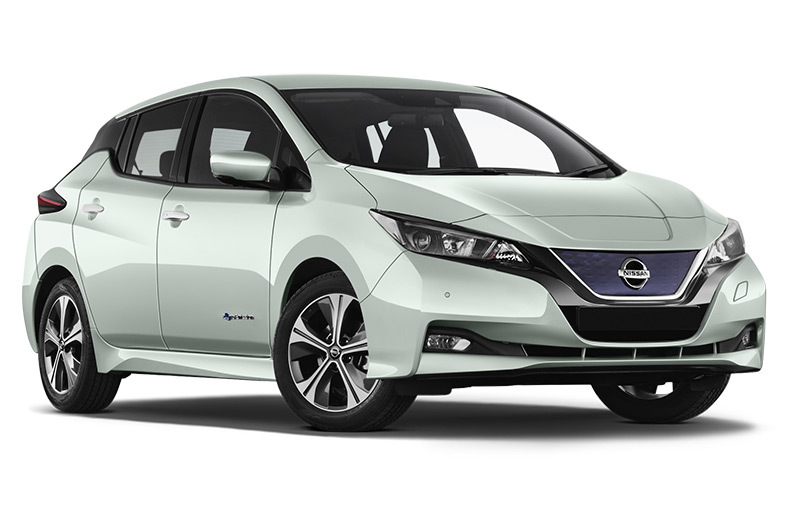 The company also rolled out the all-electric Nissan Leaf in 2011, a hatchback-sized model powered by electric batteries attached to an electric motor. This was latterly joined by the E-NV200 Combi, a commodious electric people carrier for those wanting a low-cost mode of transport with more space. For more information and advice on leasing a van, or if you’re still weighing up buying versus lease on a new commercial vehicle, then speak to one of our experienced and advisors and they’ll be able to talk you through your options in a clear and transparent way. In addition to the advice our experienced advisors can provide on you next vehicle, van or car, we can also offer an array of leasing products to suit your individual vehicle needs. Whether you would benefit from the reassurance of knowing all your vehicle finances, from maintenance to breakdown cover, are included in one monthly payment or whether you’d prefer the freedom of our economy package, we’re happy to talk you through your options. For more information about contract hire or leasing a Nissan, or any other vehicle manufacturer, please contact us on 0345 266 5602.